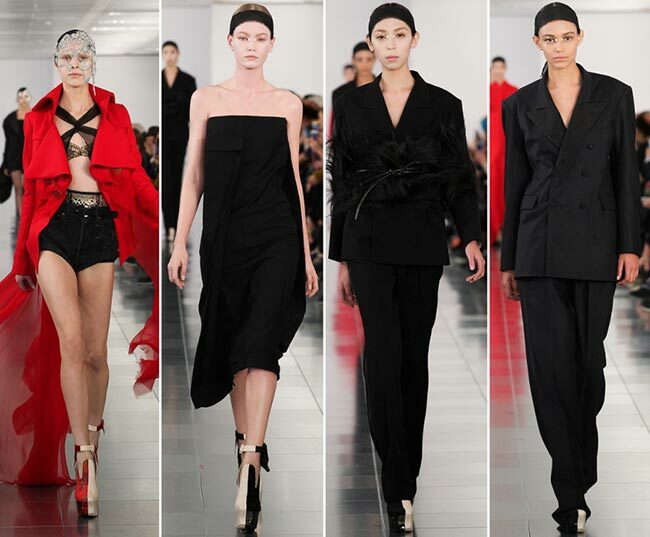 The Haute Couture Fashion Week has definitely made an early start, with the Maison Martin Margiela Couture spring/summer 2015 collection beginning the year with a focus on the seaside decay, bringing in infamous John Galliano for design collaboration. 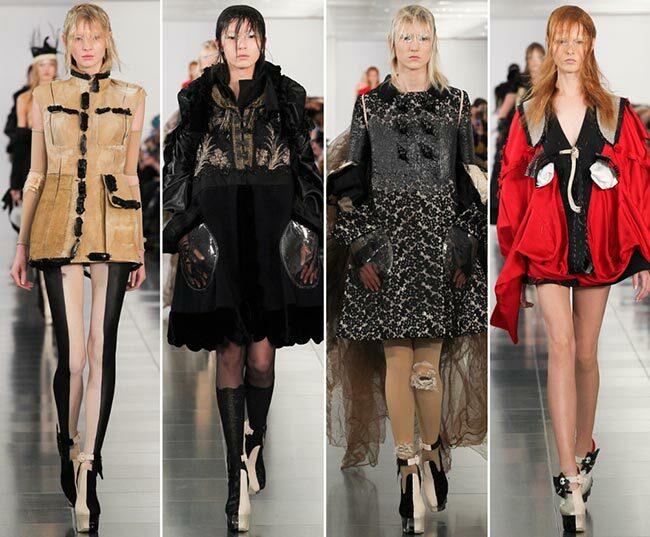 Maison Martin Margiela has a new creative director and it’s not someone many groups are particularly fond of. After all, he was forced underground for 4 years before making his debut reappearance into the fashion world today. Showing off his designs to a rather small group of family and friends, comprising not more than 100 individuals, the man at the center of scandal is working on making a whole different impression with a very different statement. While some of these designs are slightly horrific, including red lacquered acrylic showing off shells in the form of innards pulled out of the body, others are extremely stylish in their primitive-meets-post Armageddon creations. The general themes seem to center on decay, on masks of death, deterioration at a very slow pace of what was once considered good and proper. Symbols of honour are taken and reworked into more horrific scenes. 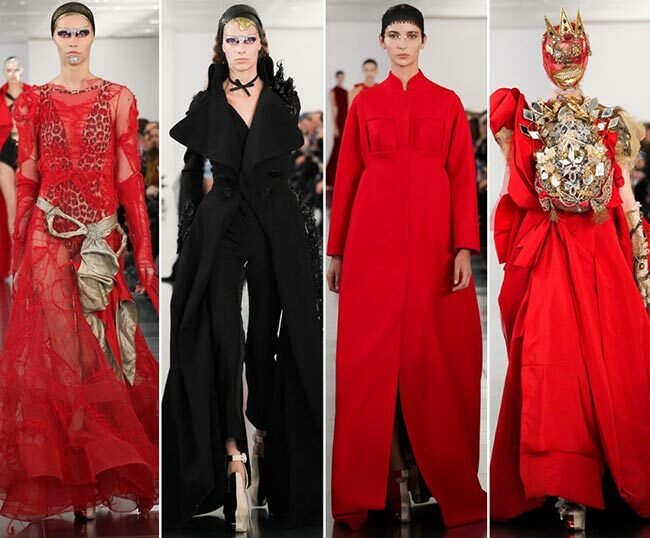 No matter who he works for, Galliano definitely proves that he is a worthy artist and his works still shout loud and clear amongst the fashion world. The opening piece of the Maison Martin Margiela Couture spring 2015 collection show is a small taste of haute couture at its peak. It is, however, a very tame work of art, reworked leather with a very short hemline, long legs peeking out clad in black and while, with matching shoes for better effect. We can definitely imagine this runway piece appearing in the public sphere, even if most of the other pieces would require a more convenient setting. Those lovely color-blocked shoes make it into other designs as well, particularly where we begin to see the transparent pockets and bulky clothing. There’s something to be said about having velvet in a midi dress that’s made in an A-line and does little to accentuate the silhouette. Those knee high stocking however definitely do appeal to the senses, while we begin to wonder about the aspects of the dress that might actually make it into general runway trends, outside haute couture. The total red look is enough to frighten even the best of us, with the seashells looking like lacquered red organs pulled out of one’s chest. The acrylic is an interesting use of fabric, while those transparent pockets one can slip hands in are really starting to grow on us. We can admire the effect of the lycra in the form of stocking on those legs, but the seashells certainly are a great distraction. Remove them and you have one absolutely gorgeous piece that can certainly make for a lovely evening outfit. There’s something utterly picturesque about the next style, wherein the seashell adornment in the center of the dress is not as horrific a view as it was in its red coloring. On the contrary, it makes for an interesting addition to the otherwise confusion of a garment that is utterly too endearing in its form. It seems to be a combination of women’s outfits befitting different positions in life, from the scullery maid to the noblewoman, the merchant’s daughter and the dainty lady down the street. Complete with leather gloves and black and white laced heels, we actually rather love this look! Forget the seaside deterioration that is to come by the end of the Maison Martin Margiela Couture spring 2015 collection. The coming garment speaks of superiority, from its sheer aspects to its’ satin and lace ribbons. The shoes add a splash of color to the otherwise black bird, but this is one dress we actually would love to see on the red carpet at some point, with its long train and mini hem. It’s interesting to watch as one sashays down the runway in this piece and we are certainly enjoying every aspect of this image. Then we see a shipwrecked leopard queen that walks these lands it seems, with the gorgeous lace, the lovely shade of red, and that leotard that’s rather ravishing beneath the dress. There’s something pitifully strong in this attire, a sense of disintegration but yet a desire to restart it all. 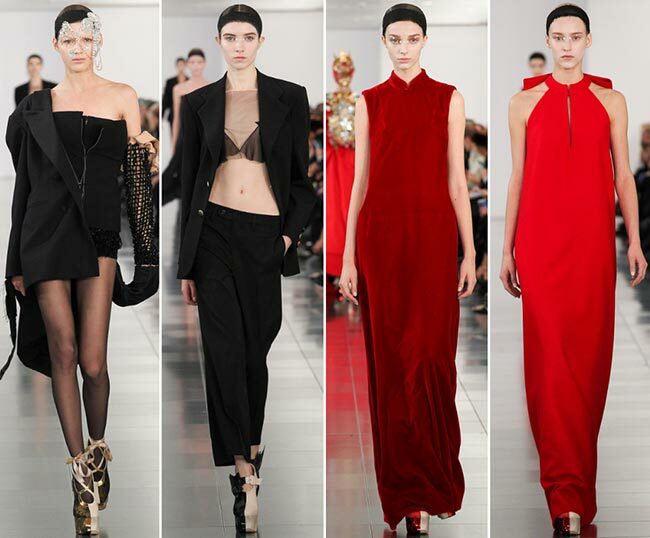 It’s a Galliano hit without a doubt, featuring all that makes him so special in the fashion industry. It is also a breathtaking piece that has an essence of morbidity, yet holds onto a glimmer of hope. The final piece of the night is as horrific as they come, in such a fashionable way. It’s as if the zombies of ancient Aztecs somehow figured out haute couture and created their own runway scene. Beneath all that ruffle, an arm seems to have gone missing as well, while the mask depicts dead royalty, chest full of adornments from many a century. There are layers upon layers here, and the train trails behind in trending fashion. All in all, should we block out the head and perhaps even the chest, this is a rather stunning piece on its own. It’s good to know that haute couture is not dead and it certainly is great news to see that John Galliano’s work itself has not been sentenced to a lifetime of hiding underground. Such beautiful works of art should be given the stage to shine bright instead of allowing for a few words to destroy all that a man has made for himself. We’re excited to see what other unexpected surprises Fashion Week holds!